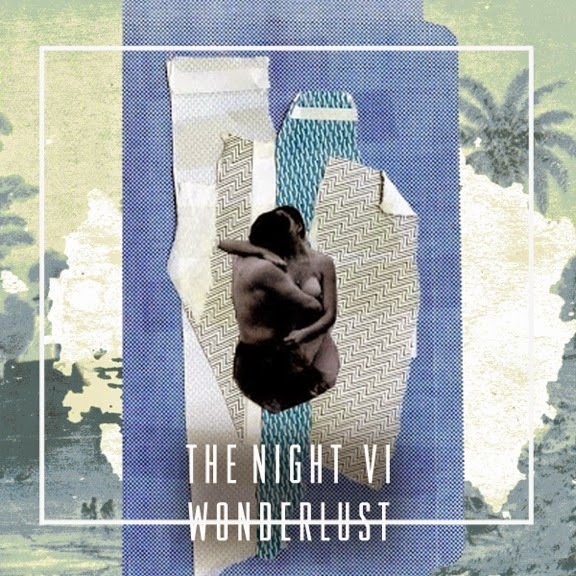 Following on from the infectiously pleasing Sienna back in March, The Night VI return with another dreamlike serving of well seasoned synth-pop. Probably their most immediate to date, and not ones for shying away from emotionally resplendent lyrics, 'Wonderlust' comes shrouded with a rich artistic backdrop. "it's about waiting for true love & a tale of a perfect encounter" explains Sophie-Rose Harper "My fascination with American Western-style B movies inspired the song. Set in a downtown dive bar filled with junkies and jukeboxes I imagined a woman possessed by her drunken fantasies that have spun out of control and her eccentricity is reeking of desperation. So following in the old country tradition it’s an upbeat song with a sad and bitter core. As stylistic synths swirl to dizzying heights, the track's 80's inspired percussion takes a more prominent role as Sophie-Rose Harper's glacial vocals break away to leave space for its scintillating guitars to pierce through the mix. Wonderlust will be released on July 22nd through Duly Noted Records. Take a listen above. The Night VI are: Sophie-Rose Harper, Jack Gourlay, Anna Pesquidous, Bo Morgan, Kristy Buglass & Bogart Giner.